Today, our CEO Giuseppe D’Antonio will be at the Codemotion event in Rome, hunting for the brightest minds to join CircleMe! So if you’re in Codemotion Rome today, don’t hesitate to stop by our stand and chat to Giuseppe about these positions. 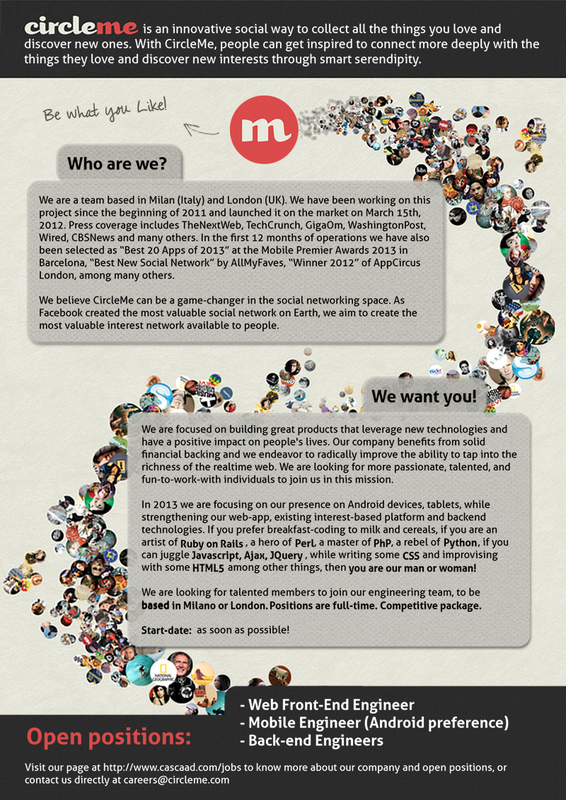 If you can’t make it to Codemotion, you can always send your CV to careers@circleme.com. Also, our jobs will be advertised on http://www.cascaad.com/jobs, but we strongly suggest sending the CVs as soon as possible.